When Los Angeles Zoo keepers conducted their morning animal count on March 3, they discovered one of their 11 koalas was missing. The koalas are normally kept in a small grove of eucalyptus trees in an Australian exhibit with kangaroos. A 3-foot wall lines an 8-foot drop into the enclosure below. After a brief search, a tiny puff of koala fur was found about 40 yards away from the exhibit. Finally, an hour later, the remains of the 14-year-old female koala named Killarney were found, mostly eaten, on a hillside about 400 yards away on zoo grounds. 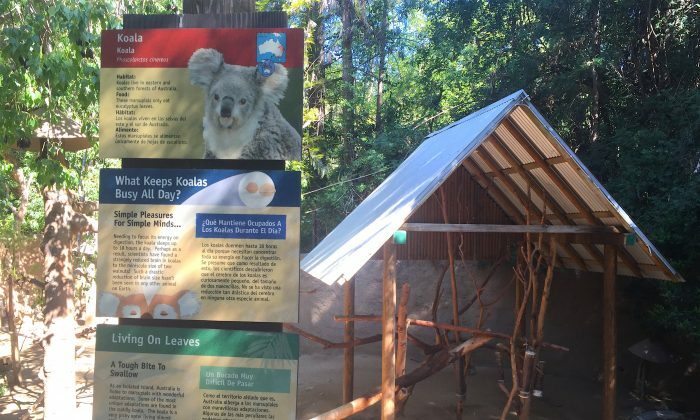 Zoo officials said Killarney, the oldest koala in the exhibit, had an unusual tendency to come out of the trees at night and walk around on the ground, which must have made her more vulnerable to an attack. 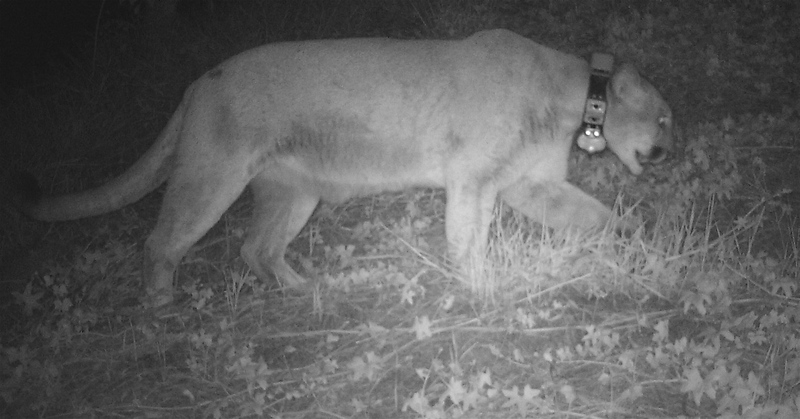 A local mountain lion known as P-22 was captured on camera in the zoo the night of the killing. He has lived in Griffith Park, home of the Los Angeles Zoo and the Hollywood sign, for several years. “Obviously, there’s no evidence. We didn’t see it happen, but we’re kind of surmising that it was P-22,” said Schafer. Zoo officials said coyotes and bobcats have also been seen in the past on zoo surveillance videos and camera “traps,” which are triggered by a passing animal to take a time-and-date stamped photo. But the animal that took the koala would have had to be a very powerful and stealthy predator to leap into the enclosure and leap back out without a trace, carrying a 15-pound prey. Mountain lions, also known as pumas, are known to kill by simply breaking animals’ necks in their powerful jaws. They can also jump a height of 15 feet. The zoo’s 8-ft perimeter fence with an 18-in barbed wire overhang would not have been much of an obstacle. However, zookeepers were still surprised to see P-22 for the first time on camera about a month ago, since the zoo is patrolled by security guards nightly. “He was coming and going, and we still don’t know how he’s doing that,” said John Lewis, director of the LA Zoo. Lewis says the zoo is considering raising or electrifying the perimeter fence to deter such predators. For now, the 10 remaining koalas have been temporarily taken out of public display. Koalas are somewhat fussy and don’t like change, said Schafer, so they are now getting used to their new indoor quarters. As soon as some of them appear to be better adjusted, they will be placed back in the public exhibit, but only during the day. The majority of the other zoo animals are also now being housed in their inside barns and quarters at night. Meanwhile, Los Angeles City Councilmember Mitch O’Farrell said in a statement that maybe it was time P-22 found a new home. “As much as we love P-22 at Griffith Park, we know the park is not ultimately suitable for him. We should consider resettling him in the environment he needs,” said O’Farrell. The puma lives in a space roughly 6 square miles, while most mountain lions need an area of 75–200 square miles. Last April, P-22 was found hiding in the crawl space underneath a house in Los Feliz. He spent about a day there before disappearing again into the wilderness. A young koala on the mend at the Australia Zoo Wildlife Hospital is melting hearts around the world.